Having more knowledge and a better understanding of leadership should lead to better performance — and, hence, improved outcomes. Physician leaders in medicine must amass a great deal of knowledge and experience to manage and lead in today’s complex health care environment. Undergraduate and graduate medical education focuses on “the six competencies” of patient care, medical knowledge, practice-based learning and improvement, interpersonal and communication skills, professionalism and systems-based practice. As a result, undergraduate and graduate programs, in developing their curricula, have a challenging task in deciding what must be taught out of the mountains of important subjects that could or should be taught. The story: Authors from Hartford HealthCare explore the value of the system’s structured, evidence-based curriculum to improve leadership behaviors. 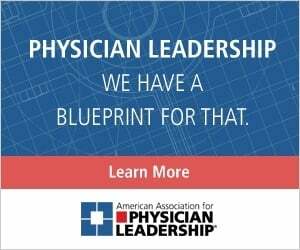 Findings indicate physician leadership is critical for improved outcomes. Click here to read it. On this page: Jon Thomas, MD, MBA, CPE, a member of the Physician Leadership Journal editorial board, comments on the report. This results in excellent clinical training and experience, with little if any understanding of management. Lack of managerial training leaves budding physician leaders at a disadvantage. The amount of education and training to develop the clinical experience required to practice competently and safely leaves little time to provide medical students and residents with education in health care economics, policy, regulation or law — the stuff of leadership. As health care has become more complex, a nonphysician professional management class has developed, many of whom do not have direct clinical experience. Formal education in management, law or policy does not provide expertise in the practice of medicine. This leads to a destructive tension in health care organizations and frustration by those who deliver care with those who manage, and vice versa. To compete in the environment of health care management, many practicing physicians interested in leadership have gone back to school to get their MBAs, law degrees, master’s in public administration or some other advanced degree to understand their environment and maintain influence. To meet the increasing demand by students for this training, many medical schools are collaborating with universities to provide the opportunities for dual degrees — combining MDs with JDs, MBAs or MPHs, for example. But the need for a dual degree hasn’t always been necessary. During less complex times, practicing physicians acquired the requisite management and leadership skills and expertise through continuing medical education courses at professional meetings and on-the-job training. Over the past 20 years, I have asked many senior physicians how they were able to achieve success as leaders in their organization. Many offered that they acquired their knowledge and experience through the School of Hard Knocks. Few had formal training, and many recount stories of being tapped for roles and positions for which they were initially clueless. Despite their modesty, it was clear that they had the right stuff and took the risk to venture into what was then-unchartered territory. Stories typically began with something like, “I was asked to do something I wasn’t formally trained to do.” This might have been to lead an initiative, head a work group or help start a new program, while maintaining their full-time clinical practice. Over their careers, success in that initial project led to other projects and eventually a leadership position. Those leadership glory days of learning by the seat of your pants or skirt are gone. Few organizations today want to risk putting someone in a leadership position without the necessary education, training or experience. The need for that level of knowledge, experience and expertise has led organizations to identify potential leaders and educational opportunities targeted to the mission, vision and values of the organization. While having the formal training and degree helps, organizations still need to invest in staff development. For many physicians, acquiring a professional degree can be a significant time commitment and sometimes is not necessary. Landry, et al., have shown that a focused curriculum based on current best practices in leadership development can provide physicians and advanced practitioners an opportunity to learn and develop leadership skills. Another advantage of this approach over a generic degree is that the organization can align the mission, vision and values with the curriculum. This, however, wasn’t immediately recognized by the authors. They began with a broader approach, focusing on didactic material as well. Over time, they shifted the focus to leadership skills and others necessary for success in their organization. The authors report, “Overall, the findings indicate that there is a relationship between the education provided throughout the PLDI and the overall improvement in our patient outcomes.” While this might be technically true, it is difficult to prove based on the data provided. More important, however, are the results of the surveys conducted of the participants. Overall, the experience was rated positively. In addition, there was demonstrable improvement in the leadership competence and behavior assessment. Having more knowledge and a better understanding of leadership should lead to better performance — and, hence, improved outcomes. The program has been a success not only for the institution but for the participants, too. 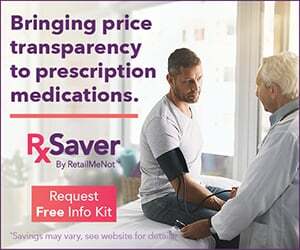 Of those who participated in the program, 36 percent eventually received promotions while less than 1 percent of those promoted did not go through the program. As we debate what should be taught in the undergraduate and graduate medical curriculum, there is no doubt that health care organizations are part of that continuum of lifelong learning and must continue to invest in the development of health care leaders, not only for their institutions but for society. 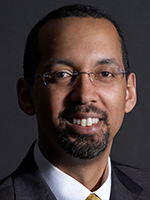 Jon Thomas, MD, MBA, CPE, is a member of the Physician Leadership Journal editorial board. He is the managing partner of Ear, Nose and Throat SpecialtyCare in Minnesota, and a former chair of the National Federation of State Medical Boards.